The Florida Thirteenth Judicial Circuit Pro Bono Committee, HAVE A HEART and Bay Area Legal Services Volunteer Lawyers Program announced that Parwani Law, P.A. was honored with the Circuit's 2017 Outstanding Pro Bono Service by a Law Firm award for the firm's exceptional pro bono service to the community﻿. Rinky S. Parwani was selected as a 2013 Super Lawyer Rising Star. Parwani Law, P.A. is a proud winner of the Greater Brandon Chamber of Commerce Small Business of Year Award 2010 for the Minority and Women Business category. Parwani Law, P.A. was also nominated for the Small Business of the Year Award in 2013, 2012 and 2011 in the greater than five employees category. Parwani Law, P.A. strives to be a full service law firm focusing on the getting to know the client and how to best serve a client's particular needs. We hope to assist you in your personal and business endeavors and become your one and only law firm for all your needs. The firm provides a gamut of services from bankruptcy to assisting clients with negotiating debts with creditors. From credit card debts to mortgage modifications to negotiation of business debts Parwani Law, P.A. can assist you. Assistance with credit card laws, HMDA, RESPA, TILA, ECOA, FCRA, GLBA, OFAC, BSA, high cost and privacy regulations as well as laws concerning home equity loans may be provided as well. Parwani Law, P.A. is a Debt Relief Agency under 11 usc section 528. 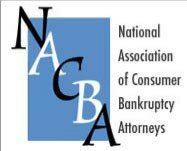 The firm helps people file for bankruptcy relief including Chapter 7, 13 and 11 bankruptcies. From multi-million dollar developments to a basic residential home purchase the firm provides a variety of real estate services. Parwani Law, P.A. can assist your legal needs whether it is related to commercial real estate, easements, covenants, conditions & restrictions, leases, evictions, foreclosures, and even real estate purchases and sales. The firm defends foreclosures and conducts foreclosures. Ms. Parwani previously was Assistant General Counsel for Wells Fargo Financial and Senior Vice President of Countrywide Consumer Markets Division Compliance and Fair Lending. She is available to act as a consultant or expert witness in your foreclosure cases. Parwani Law, P.A. will draft simple wills, living wills, durable powers of attorney, and healthcare directives. Parwani Law, P.A. will also draft pour over wills and trust agreements. We can assist your with planned charitable giving. This includes charitable lead trusts, charitable remainder trusts, charitable IRA rollovers, and formation of private foundations. The firm handles a variety of federal and state litigation including administrative matters. Litigation areas handled in the past include: internet disputes, personal injury, slips and falls, defamation claims, animal/dog custody, insurance disputes, credit card debt defense, product liability, Fair Debt Collection Practices Act (FDCPA) claims, Florida Consumer Collection Practices Act claims, employment matters, business matters, real estate matters, class actions, debtor defense, wage and hour matters, traffic ticket defense and foreclosure defense. We have also have helped clients with administrative claims such as social security, social security disability and worker's compensation. The firm can handle your appeals, discovery, motions, briefs, depositions, court appearances and mediations and advise you from litigation strategy to ultimate settlement or trial. Parwani Law, P.A. helps business owners. From choosing the appropriate business entity to day to day operations to helping with litigation, Parwani Law, P.A. can be your general counsel. We also assist with the purchase or sale of a business including franchises. Parwani Law, P.A. helps with SBA financing and negotiation. We can help with employment contracts, employee handbooks, and other human resources issues in your operation. If you need assistance with a copyright or trademark for your business or protecting them we can help as well. If you are dissolving a company or starting a company we can assist you with the necessary legal steps from organizational documents to tax issues. The firm helps all types of business including film and entertainment companies, major corporations, retail establishments, and restaurants. Everything from compliance operations to corporate books, records and licenses are part of our business legal assistance. Parwani Law, also consults with businesses on privacy and cybersecurity laws, including SOX and compliance issues associated with your website and computer systems. Everything from mobile applications to large corporate corporate systems and audits. Assisting with appropriate disclosures, litigation and even review of company systems. Parwani Law is here for your technology needs. The firm will handle all your family law planning needs including: custody matters, modifications, divorce, dependency, pre-marital agreements, child support, surrogacy and paternity. Parwani Law, P.A. has handled several dog custody cases. Parwani Law, P.A. can also assist with probate and guardianship cases. Parwani Law, P.A. handles both contested and uncontested matters. The firm provides personal and comprehensive legal services in the areas of domestic, step parent and relative adoptions. The attorneys can facilitate the consent of biological parents or the termination of parental rights in cases of abandonment. The firm also handles foster parent adoptions. Our team will guide you through this process with the individual attention you deserve. From your basic car accident to complicated product liability cases, Parwani Law, P.A. can help you with your personal injury matter such as dog bites and slip and falls. Parwani Law, P.A. helps clients file for social security disability. If you are disabled, whether though a personal injury accident or otherwise contact our office for assistance. Parwani Law, P.A. will guide you through every step of the immigration process from the acquisition of a visa to naturalization. The firm also provides a variety of other services such as assistance in removal proceedings. Parwani Law, P.A. The firm handles traffic violations, driver's license violations, and suspended licenses. We work with most individual and group legal insurance and legal service plans including but not limited to, Hyatt Legal, Legal Club of America, Legal Access Plans and Legal Shield. Copyright 2019 Parwani Law, P.A. All rights reserved.